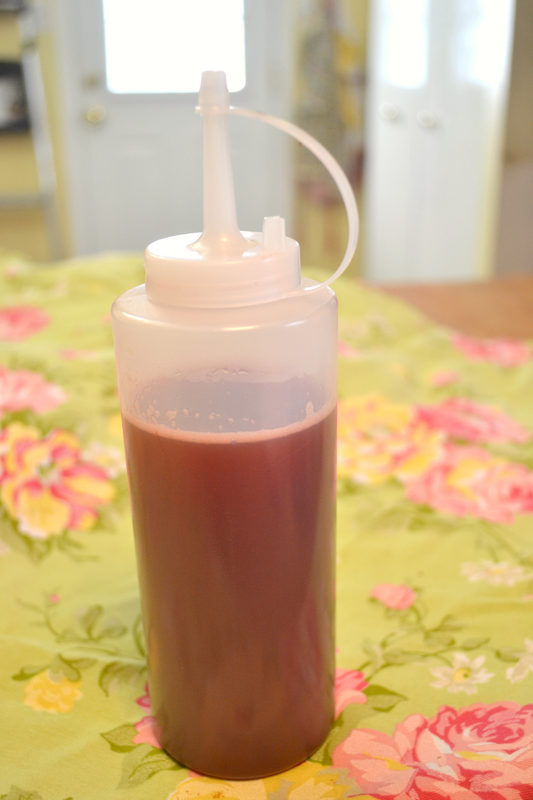 Have anyone in your home that loves strawberry syrup? Do you hate buying the store bought syrup because of all it's high fructose corn syrup, and who knows what else is in it? 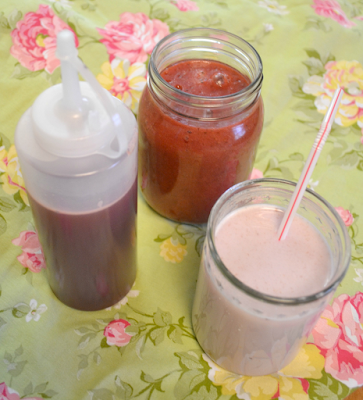 Making your own strawberry syrup is so easy! This month I am sharing one strawberry recipe a week and today, I'll take you step by step through how to make homemade strawberry syrup. Once you do, you'll never even consider buying it again! There are two different kinds of syrup people: Purists who want NO seeds or pulp, just a clean, clear syrup, and the Whole Berry people, who don't mind a thicker syrup with a few seeds and all the pulp blended in. I like both. 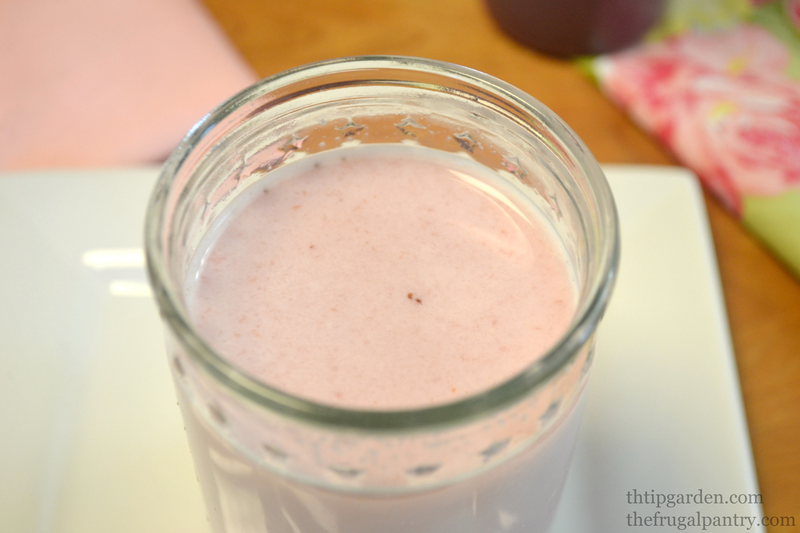 I like the thicker, full pulp syrup for pancakes, strawberry shortcake, stirring in to yogurt, or smoothies. And my kiddo's are the purists who love the clear syrup for milk. Today I'll make them both so you can decide for yourself. Rinse strawberries and remove and discard stems. Place strawberries, sugar, water , and vanilla in medium saucepan, and stir to combine. Heat strawberries over medium high heat till boiling. Turn heat down to low and let simmer 10-12 minutes, stirring frequently. Pour strawberries and juice through a fine mesh strainer. 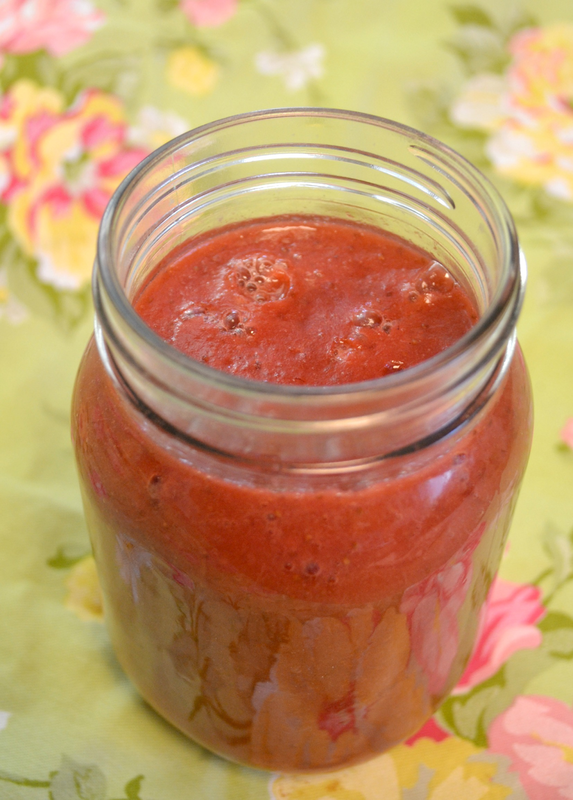 Lightly press strawberries with the back of a spoon, to push all juice through the strainer. Reserve the remaining pulp (from the strainer) to use for mixing into smoothies, yogurt, or top on pancakes. Let syrup cool for a few minutes. Run batches of the strawberries and juice through a blender or food processor (I used an immersion blender right in the saucepan).